Scans revealed that Ajan had ruptured the anterior cruciate ligament and needs to undergo surgery in the coming days. 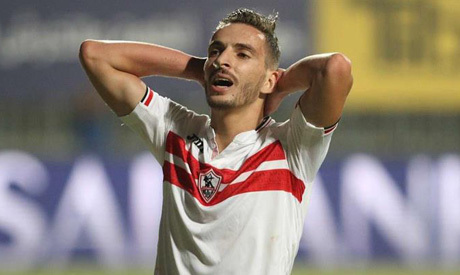 The 25-year-old who joined Zamalek from Iraqi side Naft-Alwasat last summer made 16 appearances, scoring twice in all competitions this season. He was a regular starter with former coach Nebojsa Jovovic before falling out of favour with his successor Ihab Galal, who opted for Nigerian midfielder Maarouf Yusuf on the left flank.